Guided math instruction (whole group instruction + small group instruction + math centers) is a super powerful way of reaching all of your students. But, things can go south quickly. 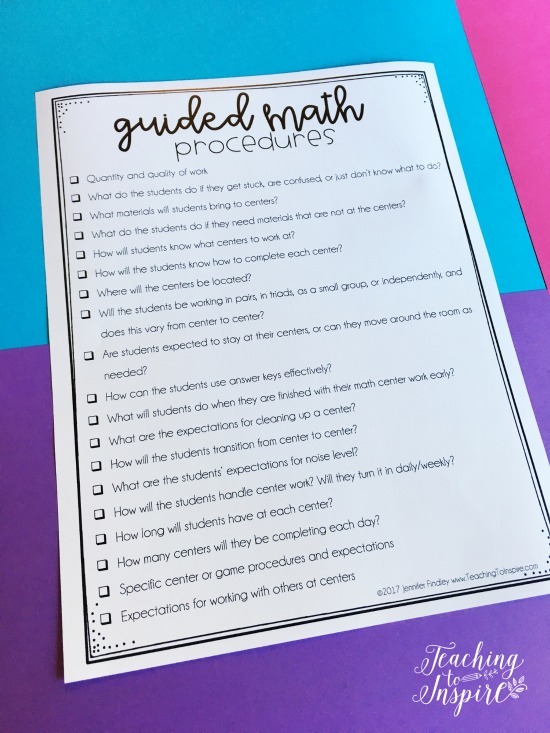 Just like any other aspect of school, students need to be taught procedures and expectations for guided math. In this post, we will take a detailed look at the must teach procedures to have your guided math centers/stations running smoothly and efficiently. 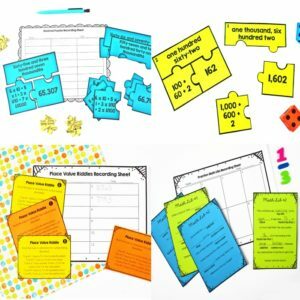 I am going to dive deep into very specific procedures and you may decide you don’t need to teach all of these, but just the act of thinking through them yourself will have you prepared and ready to launch guided math centers. Explicitly tell the students how much work is required from them at each center you introduce. For consistent centers (like task cards), this will be a standard number. 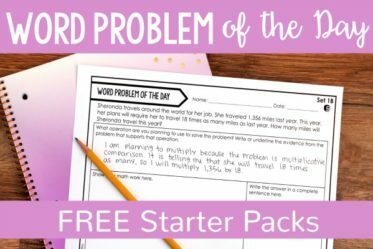 Other times, you may have to give the quantity of problems required as you introduce the centers for the week. Also, teach the students your expectations as far as quality of work (neatly organized, complete sentences for answers, showing all work, etc). What do the students do if they get stuck, are confused, or just don’t know what to do? 1.) 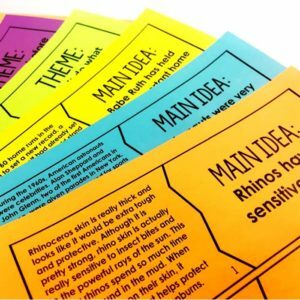 Use their interactive student notebook to assist them. 2.) Ask everyone in their group. 3.) Ask me. I rarely have anyone ask me for help because the first two steps usually provide what the student needs. The only major issue I have seen is technology glitches and failures. I highly recommend having 1-2 students be your go-to for technology problems and questions. 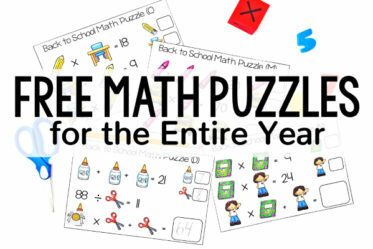 It will save your sanity if you have a technology math center. What materials will students bring to centers? My students always take their interactive math notebooks and pencils with them to every center. Everything else is provided at the center or is easily accessible by the students. What do the students do if they need materials? An easy way to solve this is to have a central location to store all the materials the students could need for their math centers. You will also want to consider the procedure for a broken or missing pencil. You will be surprised (or maybe you won’t be 😉 ) that students can lose a pencil from one center to the next. How will students know what centers to work at? I keep my center rotation extremely low maintenance. I do not have a rotation board or choice board. I assign groups to their starting points, and then they rotate clockwise through the other centers at my signal. If you choose to have a rotation board or student choice, make sure you clearly teach your procedures and expectations for this. How will the students know how to complete each center? Communicate to the students if will you tell them the directions at the start of your math block or if they will be required to read the directions to determine what to do. Want an easy solution to this? 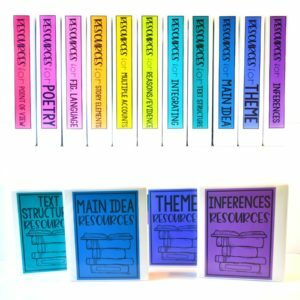 Have consistent centers in your room where only the content changes. 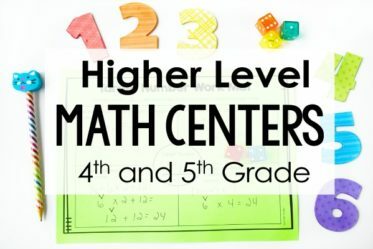 Read more about having consistent math centers by clicking here. 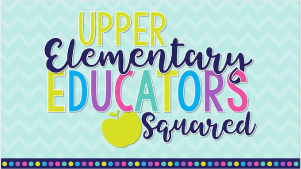 Most upper elementary classrooms are pretty limited in size, but the good news is that your centers do not have to be a dedicated table or section of the room. I use student desks/tables for many of my stations. Will the students be working in pairs, in triads, as a small group, or independently, and does this vary from center to center? 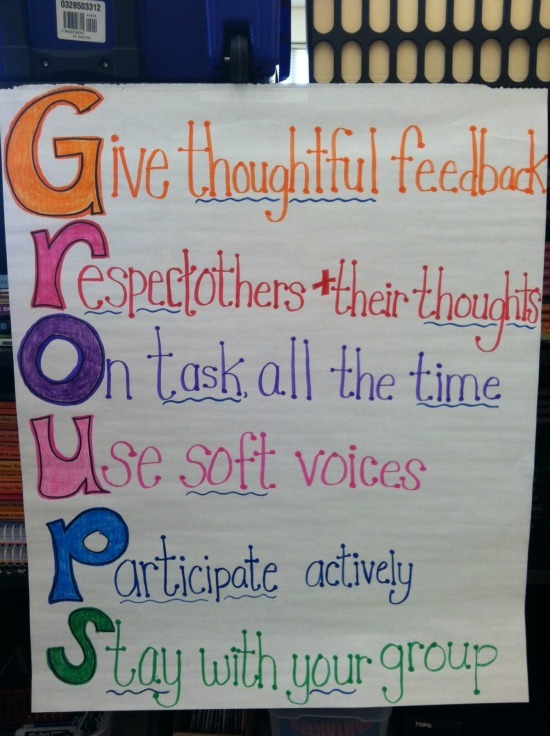 In my classroom, this varies from center to center with some student choice as to how they want to work with one another. I do have one partner center that is definitely partners and the paper-and-pencil center has the expectation that the students work independently, but get help as needed from their group. With each “type of center” (task cards, partner games, paper and pencil, technology, etc), I explicitly teach my students the expectations of working independently or with partners. 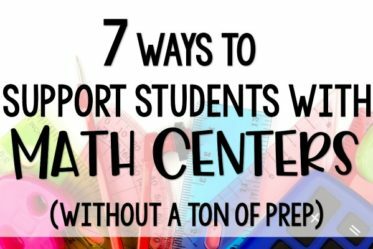 What will students do when they are finished with their math center work early? I keep this very simple, consistent, and extremely low prep. 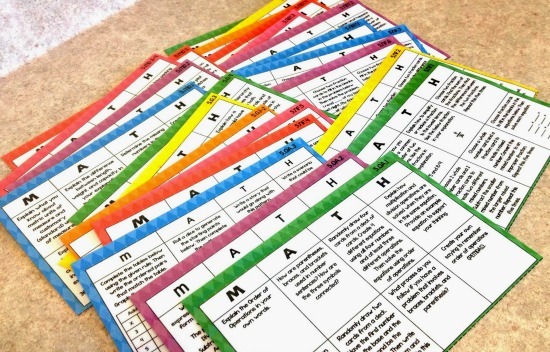 I have math choice boards for every standard I teach. When my students finish a center early, they know to pull out their math choice board folder and choose a task. Picture Credit: The Primary Girl. Find the choice boards by clicking here. 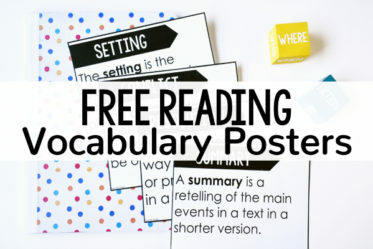 You can read more about my choice boards and grab several free ones to try out by clicking here. How can the students use answer keys effectively? 1.) Complete a problem or a few problems if the problems are quicker. 2.) Check the answer key. 3.) If the answers are correct, move on to the next question. If they are not correct, take a few minutes to find the error in computation or thinking. What are the expectations for cleaning up a center? You can have student jobs that rotate weekly and have only one student in charge of cleanup each week. Or you can just set the expectation that the center must be cleaned AND show them how to clean and properly replace the items. You usually only have to show them once and I know they are more than capable of figuring it out on their own, but explicitly showing them sets that expectation of what you expect. How will the students transition from center to center? I keep this pretty simple. I give my students a five-minute warning when their center time is almost up (I simply call it out). At my signal for centers to end (I use a bell), students quickly and quietly clean up the center (another procedure to teach) and stand facing me. When all the groups are ready, they simply rotate clockwise to the next center. Are students expected to stay at their center or can they move around the room as needed? I set the expectation that my students must stay at their center the entire time, allowing for small instances such as needing a tissue or replacing a broken pencil. This may sound harsh to some, but many students will take advantage if you allow them to move freely around the room and those 20 minute centers (my usual time frame for centers) can go by so quickly. What are the students’ expectations for noise level? This varies from teacher to teacher and their tolerance levels. Since I have a mix of different centers (some partner, some independent) spaced around the room strategically (partner games far away from partner games) I rarely even have an issue of noise level. How will the students handle center work? Will they turn it in daily/weekly? Explicitly teach your students if they will turn in their work daily and where they will turn it in and when (after centers, at your signal, to a team captain, etc). If they are keeping their work for the week, show them the best place(s) to store their work so they can easily find it. Also, teach them your expectation if they lose their work mid-week. My students have to create a new recording sheet on a piece of paper, skip partner games if they haven’t been to it in order to make up the work they lost. How long will students have at each center? Students like to know how long they will have to work and also how much longer they have. As mentioned above, I give my students a five-minute warning before that specific center ends. Another option is to set a timer and display it via a smartboard. How many centers will they be completing each day? This doesn’t really make your instruction go more smoothly, but my students always like to know how many centers they will be completing. And this is an easy one because it typically doesn’t change from week to week. When you introduce a new center or game, quickly go over the procedures and expectations for that game. 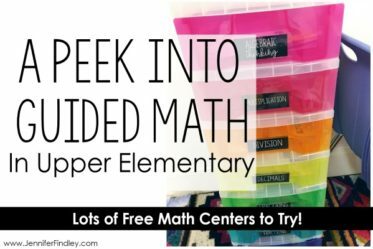 To keep yourself from doing this weekly, I recommend implementing consistent math centers where the directions, procedures and expectations are the same from week to week and only the content changes. I use and love these expectations from Teaching with a Mountain View. Click here to go to her blog post and download a printable version. 1.) Introduce one center at a time, practice the center, reflect as a whole group, teacher assesses work and provides feedback. 2.) Centers build on one another so they are used to practicing multiple centers, transitioning, and handling more than one set of directions in a day. 3.) Post anchor charts of important procedures. 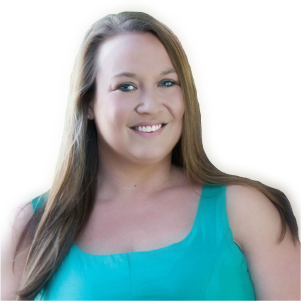 I define important procedures as procedures the students may be struggling with (because they are completely new to the students) or procedures that are very important to the success of your guided math block. 4.) 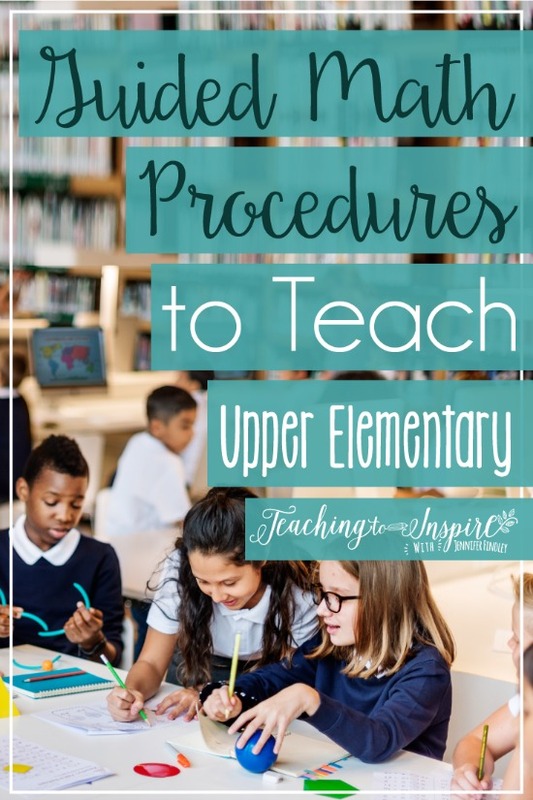 Teach the procedures in small chunks and authentically as you introduce and have your students practice the centers. 5.) Make it fun when appropriate and use role playing to ensure the students know exactly what to do and what not do in centers. Click on the image below to download a checklist of the procedures to teach. Do you teach any guided math procedures that are not on my list? Let me know in the comments!